Italia Risk Forum - Save the date! Blulink Seminars and Conferences 2016 Italia Risk Forum – Save the date! 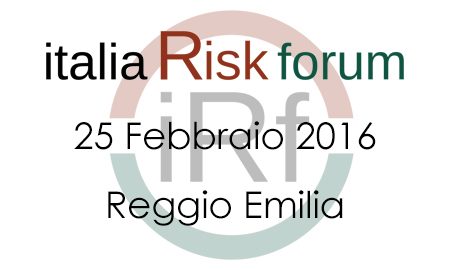 Blulink and Sedoc Finance Network, are happy to invite you to the Italia Risk Forum 2016 the 25th February 2016 at Centro Internazionale "Loris Malaguzzi" in Reggio Emilia. We reward ourselves with a day to know more about how to deal with it, how to live with it, how to ace it.